We are Miranj, a design studio in India and this is where we blog. 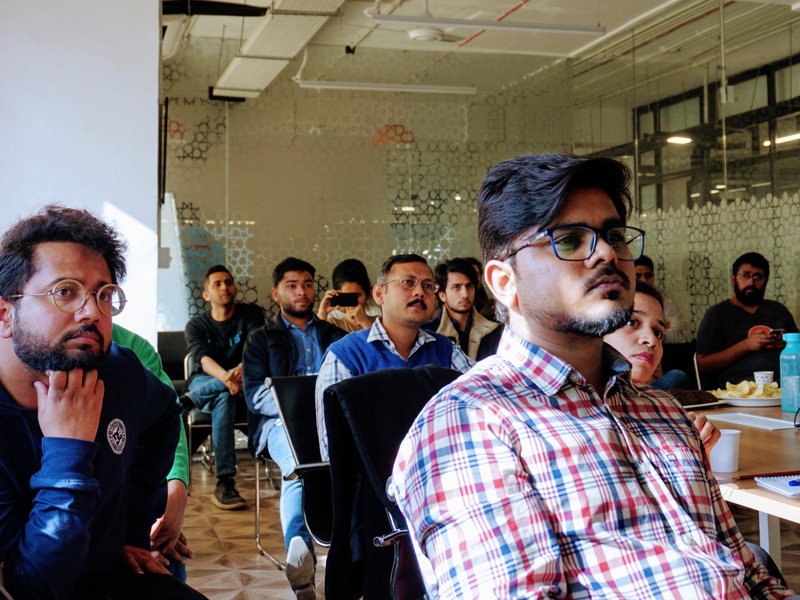 On the 23rd of February, we celebrated World Information Architecture Day (WIAD) 2019 — a one-day annual celebration that seeks to evangelise the practice of Information Architecture around the globe. This year’s global theme was ​“Design for Difference” — an important consideration in every aspect of our work (and beyond). 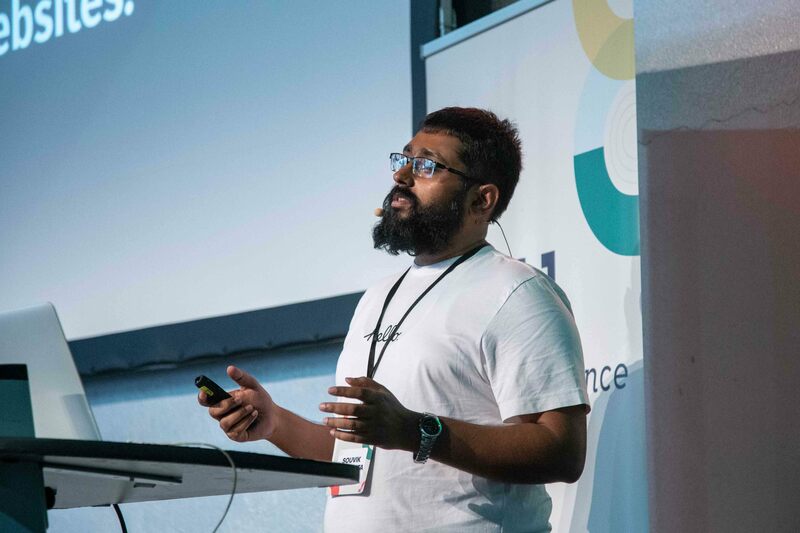 This year we had a series of talks by different speakers sharing various perspectives on IA and diversity. Here’s a short overview of the 4 talks (with links to their slides). 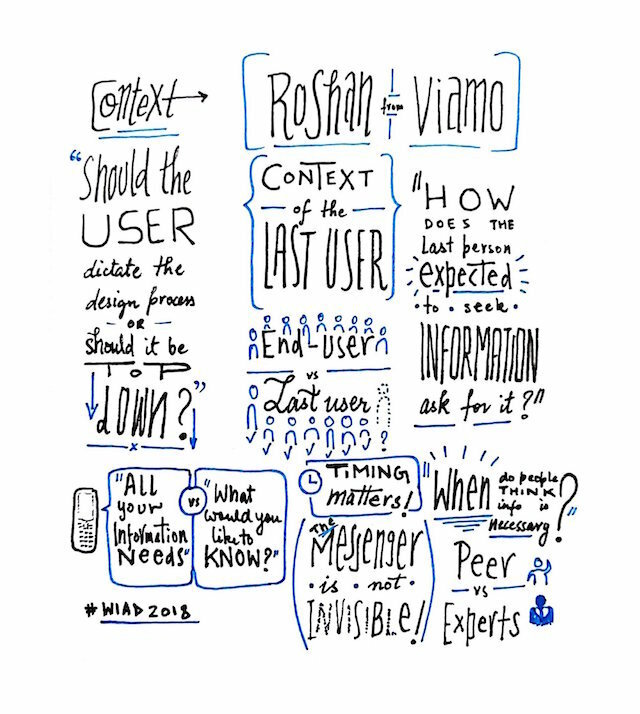 We look forward to more conversations on Information Architecture in the coming years. Back in 2014 we were looking for a Content Management System (CMS) that could fit our concept of a website constructed from a collection of atomic pieces of content. Our search led us to Craft CMS – it was still a fairly new CMS back then but it looked promising. We initially adopted Craft for a project where the website was moved from WordPress. In the next project the move was from Drupal. Both implementations were a learning experience but the outcomes reinforced that we made a good choice. The latter has now grown to be our largest Craft implementation. Craft CMS makes no assumption about the content. It frees our thinking from the shackles of the WordPress content model (Posts and Pages) while at the same time does not weigh us down under Drupal-like technical baggage. Being able to model content from scratch (almost treating the content model as data) and not being held back by any starter theme helps unlock creative freedom. As a result, we can hand-craft a website’s information architecture, user interface and user experience without the CMS acting a hurdle (or barrier). Our relationship with Craft strengthened over time and 3 years since our discovery, in 2017, I found myself attending two conferences in the US: Peers (Craft CMS was a sponsor) and Dot All – the first official Craft CMS conference. Little did I know that the very next year I’d be taking the stage at the Craft CMS conference. Any system that offers high flexibility, in turn, demands a disciplined approach – and that applies to Craft as well. With each passing project executed in Craft, we inched towards a disciplined approach for content modelling and developed a modular templating architecture that can be used in a large number of use cases, especially sites that contain a lot of information. I presented this architecture at Dot All 2018, in Berlin. I further go on to explain the implementation that uses a Routers-Views-Components-Layouts paradigm. It’s amazing how we’ve been able to simplify large and complex websites using this approach – making our work more flexible, scalable and maintainable. Architecting a Content Website with Souvik Das Gupta from Craft CMS on Vimeo. It’s always great to meet the Pixel and Tonic team, and the Craft CMS community who we mostly know through Slack Discord. I got great feedback on the talk, and based on Andrew​’s recommendation went on to convert Craft’s Happy Lager demo site into our templating approach. It’s called Happier Lager and should be a good resource to observe the contrast. It was my first time in Berlin (and Germany) and after the conference, I took some time out to visit a few other cities, which included Munich and the popular Oktoberfest . 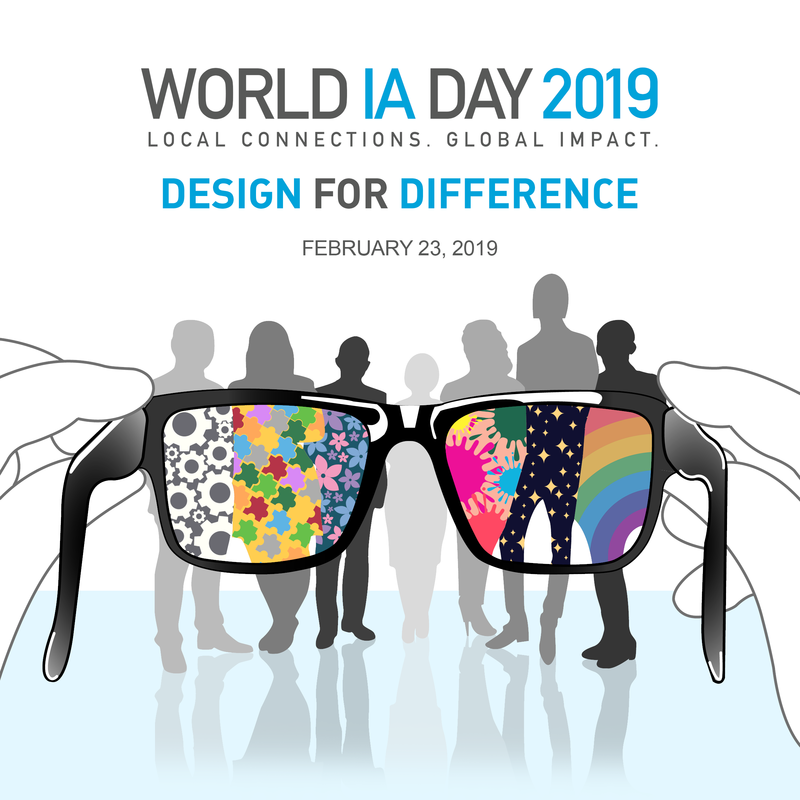 World IA Day (WIAD) is a one-day annual celebration that inspires the growth of information architecture as a community of practice across the globe. It started off back in 2012, however, for the first six years, New Delhi was missing from the map of global locations celebrating WIAD. Information Architecture has always been a core part of our work and features in pretty much every web project we tackle. So last year we decided to bring this initiative to our city. 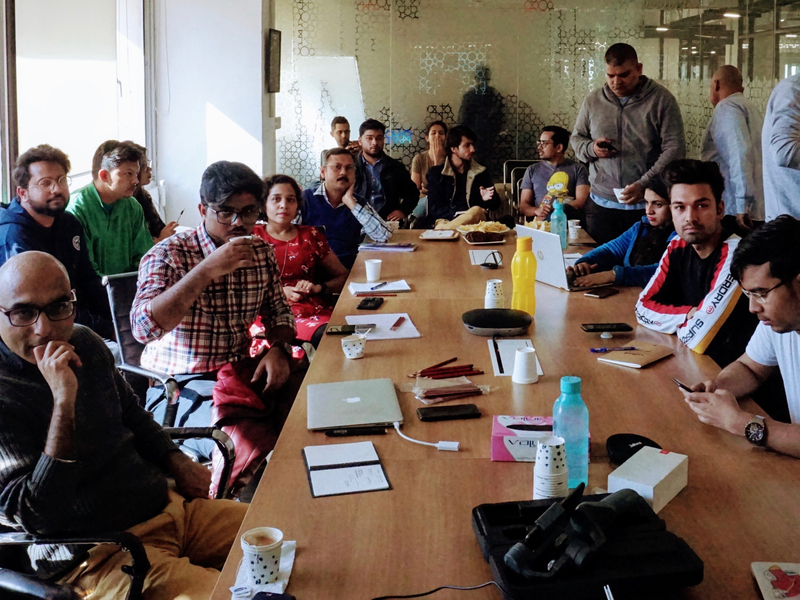 I reached out to the WIAD Global Team and signed up to be the location organiser for New Delhi. Abhishek Rai, a fellow co-worker at Base Station, volunteered to help us put the event together. This year’s global theme was ​“IA for Good”. We decided to focus on conversations that would involve representatives from non-profits and journalism. We believe through awareness about information architecture such professionals can catalyse a positive change in our society. 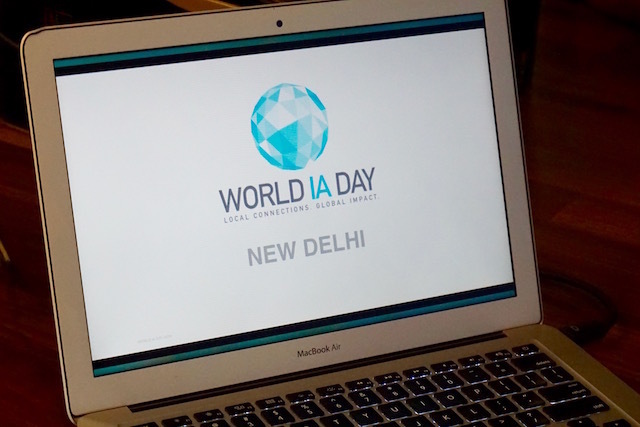 On February 24th, Abhishek kicked off the first edition of World IA Day in New Delhi. He oriented our attendees towards the purpose and theme of World IA Day, followed by the agenda of the day — 5 talks curated to help attendees understand the significance, process and impact of IA through examples relevant to the development sector. 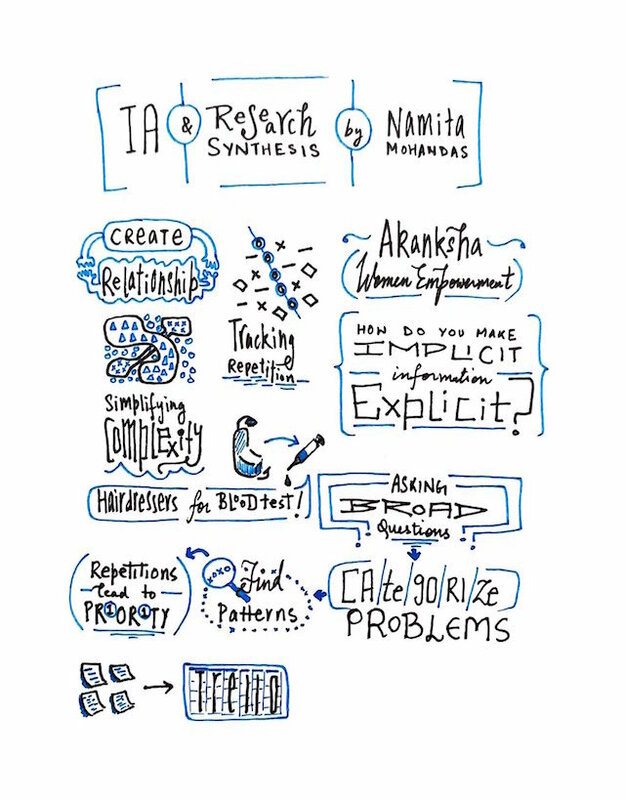 Here’s a summary of each of the talks (with links to the slides and sketchnotes by @rasagy). I delivered the first talk of the day introducing information architecture to the audience. 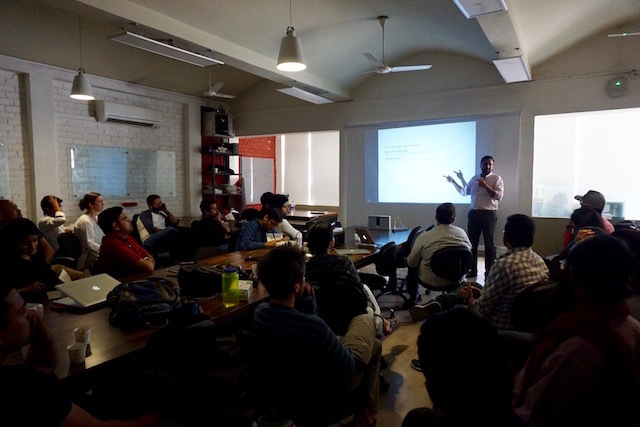 The objective of the talk was to make the community aware of IA without bombarding them with technical jargons. Instead, I relied on everyday examples of IAs such as in books, house-numbering, pharmacy stores, exhibition spaces, or simply a buffet spread. 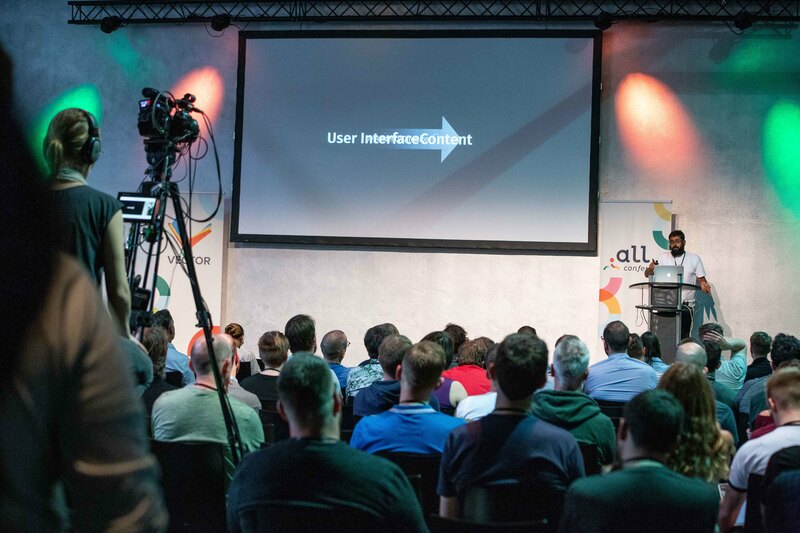 My talk concluded with highlighting how IA lies at the intersection of information, user and context — which nicely set the stage for the remaining talks of the day. 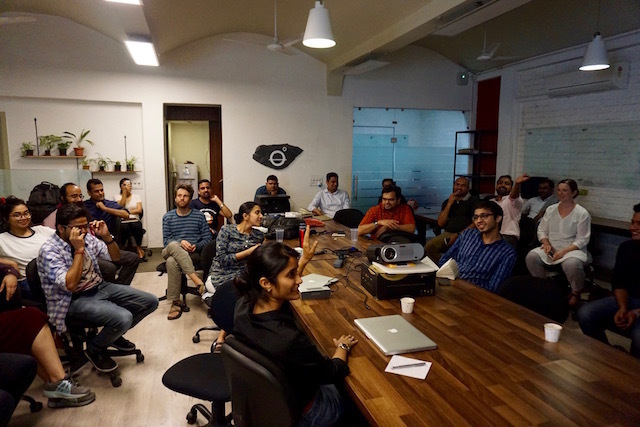 Next up was Rasagy Sharma who is a designer at Mapbox. 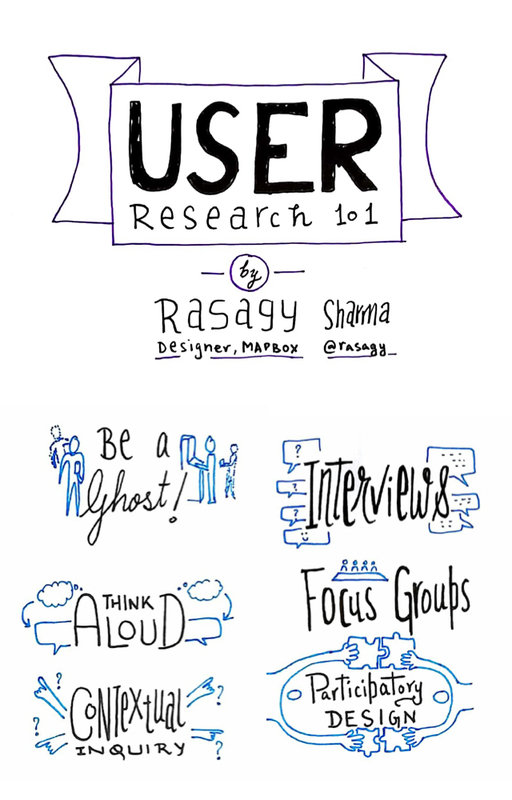 Rasagy’s talk focussed on the subject of user research and attempted to describe the whys and hows on the topic. In addition to covering some of the simple, easy-to-adopt techniques, Rasagy answered a bunch of queries pertaining to the more involving techniques. 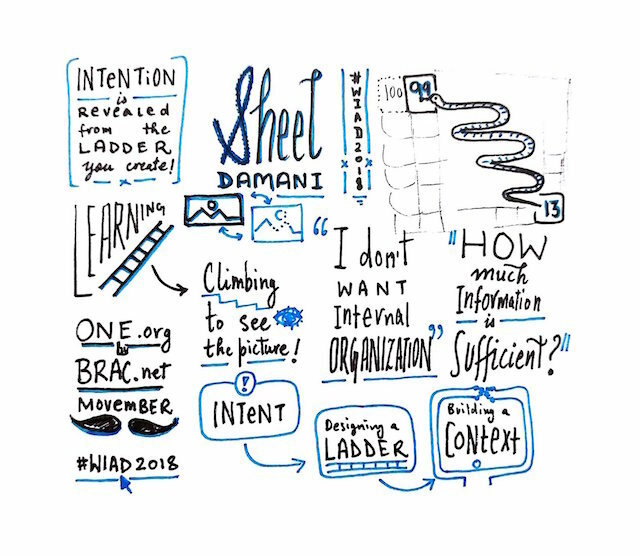 This was Rasagy’s first attempt at using hand sketched slides for a talk and everyone loved those! 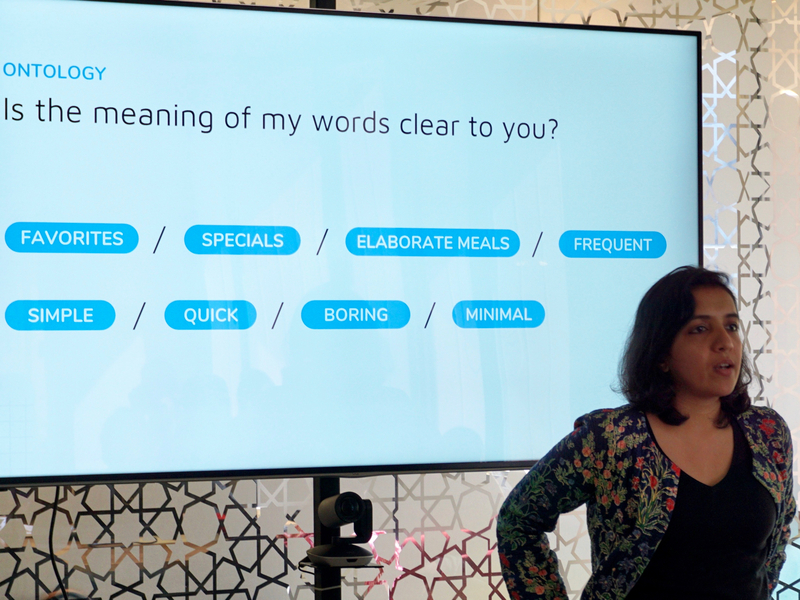 The pre-lunch talk was presented by Namita Mohandas, an independent information designer. Many a time despite investing a lot in research we’re unable to make good use of the research output, especially in understanding the problem space or connecting them with ideas or solutions. 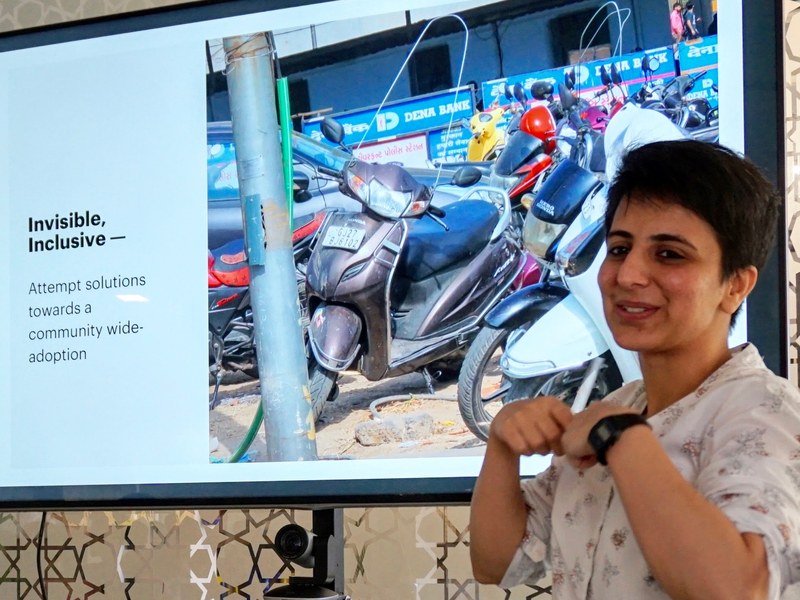 Through an example of her past work with Akanksha, Namita addressed this issue and emphasised the importance of research synthesis. 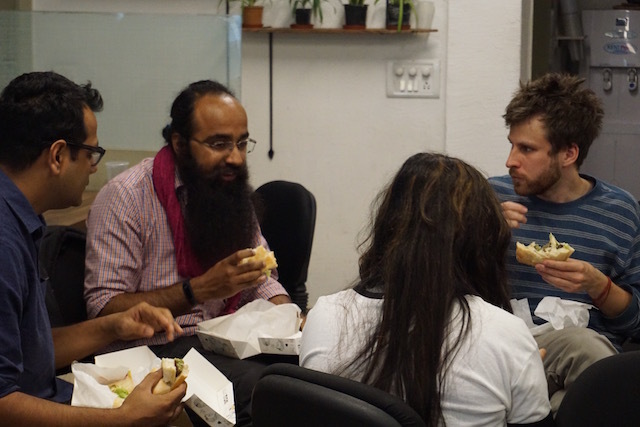 Right after lunch Roshan Nair, the Country Manager at viamo​.io, introduced a new perspective to our ongoing conversations. Roshan presented 3 different examples from their work in IVRs where IA gaps emerged when the system was rolled out to last users. 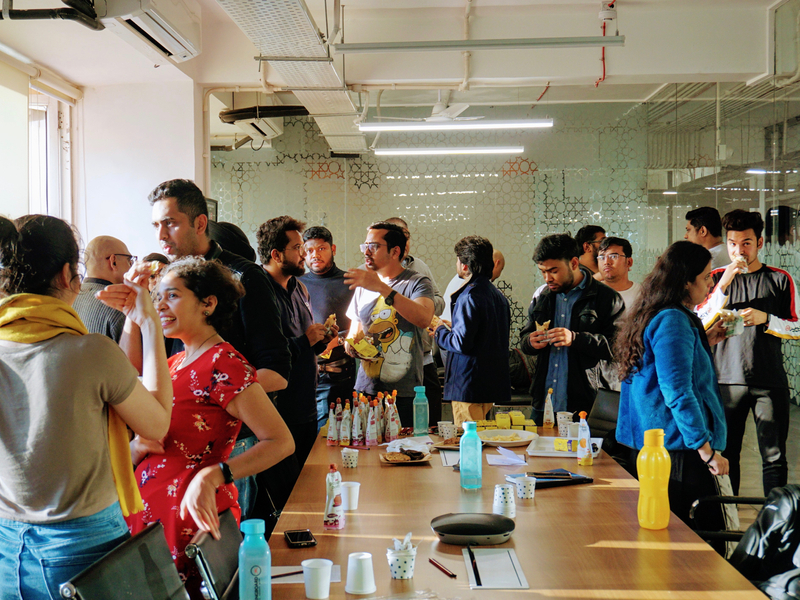 Roshan defined last users as the group of users present at the absolute periphery of service delivery whose needs (and context) are often overlooked by designers and information architects. IVR examples also helped our audience break away from associating IA to visual outputs. 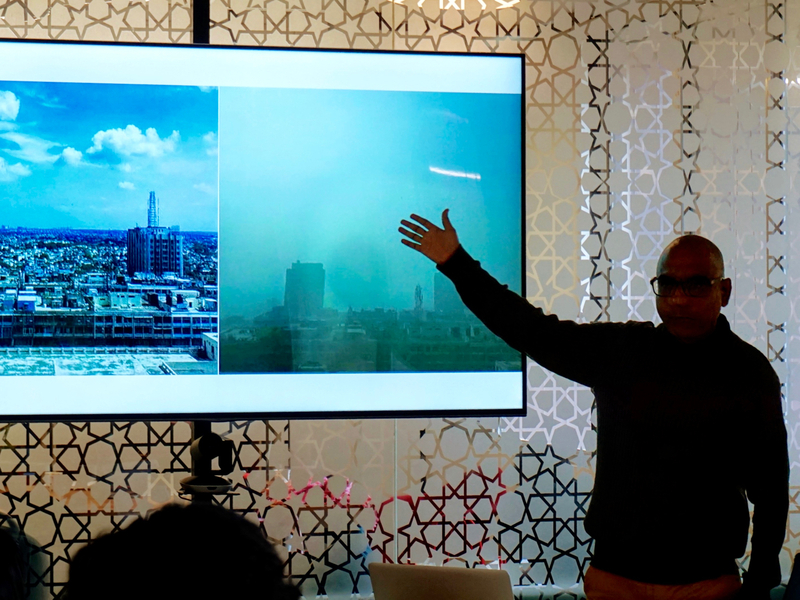 The final talk of the day was by Sheel Damani, an Independent design and communications consultant. 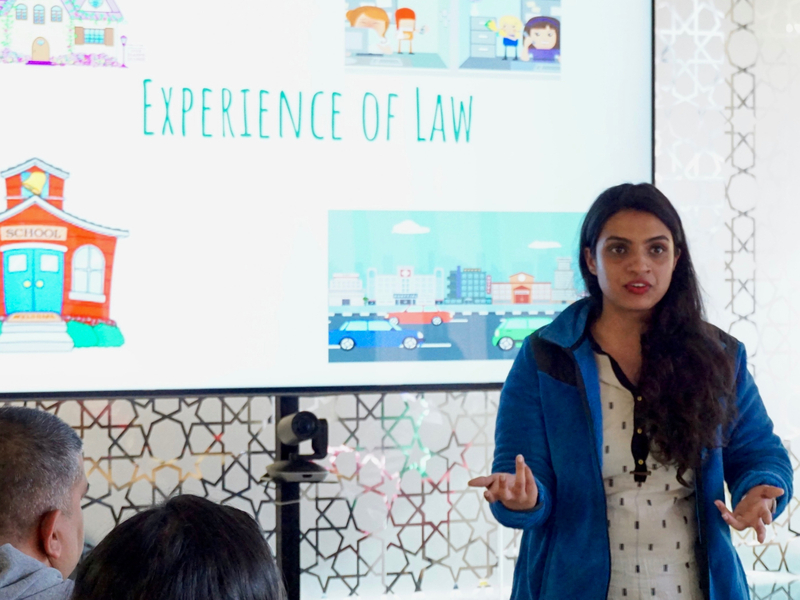 Sheel started of with establishing the purpose of organised information which is to make itself findable, easy to share and align people across a value chain or system. She went on to critically review the annual reports of a number of non-profits and presented her analysis of the information and its organisation. Sheel also deserves the coolest analogy of the day award for pulling out an analogy from the 90’s Bollywood cult comedy Andaz Apna Apna. It’s immensely fulfilling to see happy attendees at the end of an event. Here are a few moments captured at the event. There’s an entire album if you’d like to see more. We look forward to bigger and better editions in the coming years. It’s often hard to define abstract, rudimentary and ubiquitous practices. Design is one such example which I’d touched upon earlier. Information Architecture (IA) belongs to a similar territory. Information architecture is the practice of deciding how to arrange the parts of something to be understandable. Information architecture models are everywhere — printed material, digital documents, websites and even physical spaces (not typically thought of as information). It wouldn’t naturally occur that someone might have worked hard to make sense of mess to enable understanding and use. 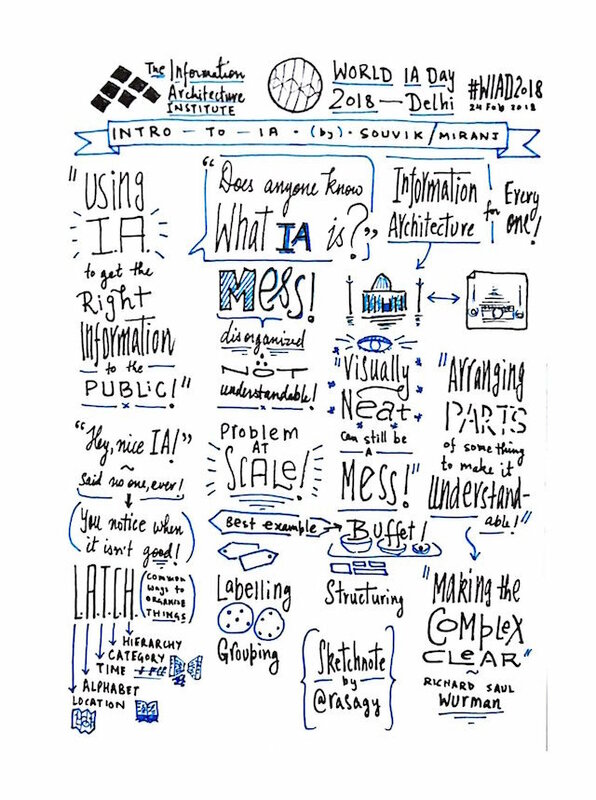 When it comes to defining information architecture, IAI​’s take is a good start. It attempts to describe IA through a specific activity. Several online references take a similar approach i.e. describing IA as an activity that involves ​“drawing boxes”, arranging parts or organising, structuring, and labelling. This approach makes the definition a bit narrow and incomplete. Information Architecture is the thoughtful, deliberate practice of achieving a shared mental model, and further applying it to make something understandable. Thoughtful, because it involves shedding biases and unseeing things as they appear (or are presented). Deliberate, because it involves making carefully considered and well-reasoned decisions. Practice, because it involves application of principles, theories, tools and processes towards a purpose. Shared, because it involves reaching parity in understanding of ideas and thoughts. Mental Model, because it involves representing assumptions, structures and arrangements people carry in their minds. Hope this adds to how we all understand IA. For the first six years of Miranj, Prateek and I were responsible for every activity under the sun. Whether it was designing and writing code, or responding to opportunities, or basic housekeeping (and everything in between) — the responsibility was always shared. The lack of separation of concern, and in turn a lack of ownership, meant that some aspects received disproportionately less attention than others. A business runs smoothly when things are fixed before they break, and this is as true for our core craft as it is for other facets such as generating opportunities, or general housekeeping. 2016 was a tough year overall. And it provoked some profound changes. In no other year have we evolved and achieved as much as in the year that just went by. This is the first time I felt like writing a year in review. We took cues from the year before, and made a bold move. Prateek and I split our responsibilities and took charge of different aspects of work. We both have different priorities now, which means fewer hurdles, more encouragement, and more motivation. As a result our progress last year has been more well-rounded than in any preceding year — be it clarity in objectives, leaner processes, generating new opportunities, better collaborations, and most of all, our work. We had laid down our purpose back in 2016. Last year we had the opportunity to invest time and mind-space in reflecting on our values, strengths, and strategies, and to audit our performance. This self-analysis drove us to align our mindset and tactics to move closer to our purpose. We’ve made subtle changes in our conduct. To take an example, we’ve identified longevity as a core value in our work. We now consciously look ahead, well into the future, and take considered decisions at each step of planning and executing a project. We’re exploring questions like how long should a website last and even evaluate our client’s commitment towards this value. For a while we’d been posing four simple questions to understand new enquiries, but recently we’ve added a fifth question that seeks to understand the potential life-span of the website that we’re being asked to work on. We’ve started investing more in understanding a project, guiding clients and aligning expectations. 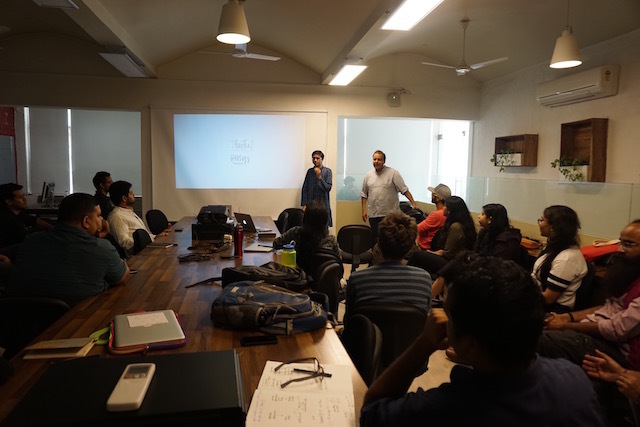 For any typical project we now conduct a week-long project discovery workshop with our clients. We follow a methodical approach towards understanding the audience, content, and goals of the project, along with recognising the client’s taste in aesthetics. Further, we facilitate prioritisation, recommend a strategy, brainstorm a solution and mutually agree on the scope, and a plan of work. This week-long intensive exercise has given tremendous clarity to our clients, helped us speed up alignment, and discover problems that are often overlooked by initial project briefs. It also serves as an opportunity to guide them — from design and technology to feedback and project management. delivering the most up to date technical SEO — from checking off all social media meta-tags to JSON-LD Struc­tured Data, using SEOmatic. These qualitative improvements are now our ​“minimum deliverable” for every project we tackle. We finally got around to formalising our support offering. This includes essential housekeeping like monitoring server health, fixing issues, regular backups and timely updates (and renewals). Further, we now offer retainers which embrace the fact that websites are a living thing. We can help sites evolve over time and not let our client’s ideas (or needs) remain parked indefinitely. We met more people from different parts of the globe than ever before. Our year started with a Singapore-based project, followed by attending Peers Conference in Seattle, and concluded with Dot All in Portland (the first Craft CMS conference). It’s been great to interact with these communities and learn from peers. It also helped us evaluate our own standing against the international web community in terms of skills, processes and quality of output. Buuuk — Powerful page builder website for a bespoke mobile app design and development studio based in Singapore. Design Fabric — Lightning fast experience for a new publication on the art & design culture in India. Tiffinbox — #May1Reboot for a communication and illustration studio in New Delhi. Our work page has more details on all three projects — Buuuk, Design Fabric and Tiffinbox. We can’t wait to announce some other projects that are yet to be launched publicly. We’re super excited about 2018! There are some interesting (and challenging) projects in the pipeline that will go live in the coming weeks and months. We’re gearing up to celebrate World IA Day 2018 next month. And we’re looking for an experienced web developer to join our team. We’ve laid out the offer very thoughtfully, and have meticulously put together a few rounds of evaluation to establish a good match. We’d really appreciate your help in recommending a suitable web developer to us. If the endorsed candidate is successfully hired we’ll be happy to share a referral fee of ₹10,000/- for your gesture. We are looking for an expert developer (at least 3 years of work experience) to help us with our ongoing and future projects. You could be a full-stack developer, a WordPress/​Drupal developer, or simply, a web developer. If you’re passionate about writing code and wish to grow as a developer while building websites hands-on, we’d love to have you grow alongside us, as we get better at our craft. Miranj is a web design and development studio based out of New Delhi. We architect information and design radically simple, future-proof websites. We started out in 2011, and have worked on websites for a variety of clients across domains such as film, tech events & conferences, internet advocacy, science outreach, online content publishing, public interest campaigns, and other design studios. 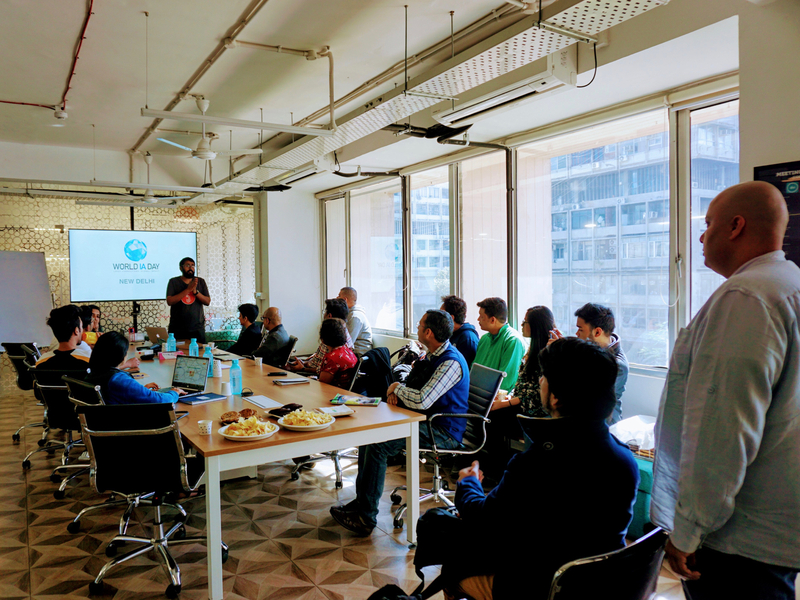 We’ve been attending web conferences around the world while also speaking at (and curating) a few in India. We’ve consciously remained small (between 2 – 4 people) while tackling projects collaboratively with peers and freelancers. Participating in project planning, strategy and estimation of tasks. Information architecture and data modelling, often in the context of a Content Management System (CMS). Working closely with designers and suggesting changes based on technical feasibility. Translating designs into front-end templates that render as responsive, interactive webpages. Building custom features, often to extend CMS functionality by developing plugins. Auditing code to meet quality standards expected from modern websites, such as SEO, accessibility, security, etc. Optimising websites for performance through caching, image optimisation and other #perf strategies. Deploying websites, including setting up and configuring web servers, and related services. Migrating websites between servers and data migration across CMSes. Maintaining, supporting and upgrading past projects. Documenting work and communicating with project teams and clients. Learning and staying on top of web standards, development workflows, coding strategies and other industry best practises. installing, developing and deploying a CMS (e.g. WordPress, Craft CMS, Ghost, Kirby, Statamic, Jekyll, Drupal etc.) powered website. You favour a long-term relationship over a short stint. You are eager to take charge and get stuff done. You are open to learning and have the ability to pick up new technologies by reading documentation & tutorials. You are good at communication, including writing. You have an eye for design and a temperament for design thinking. You like sharing ideas on how to make work more fun, meaningful and fulfilling. You appreciate coffee and love mountains. A healthy compensation, proportionate to the value you can bring to us. A cool office, with a stocked pantry, which doubles up as a small co-working space. An annual pilgrimage to the mountains, to rejuvenate from the stresses of work and city life. Opportunity to work with modern systems and software, with continuous learning. A culture that values reason and debate over authority; autonomy over control; slow and considered decision-making over fast and hasty; and a healthy work-life balance. Just fill out this form. We recommend skipping your résumé or CV and keeping the application informal. Point us to 2 or 3 past web projects that you’re proud of. For each one, mention the project duration, your role, and your contribution. In addition, please share your online presence (such as Twitter, GitHub, LinkedIn, Website/​Blog). And oh, do mention your hobbies. We’re curious about what you find interesting outside work. Please ensure that you’ve included active links to projects for us to take your application under consideration. We do not discriminate on the basis of caste, race, religion, orientation, gender, physical ability, formal education, age, nationality or any such factors.